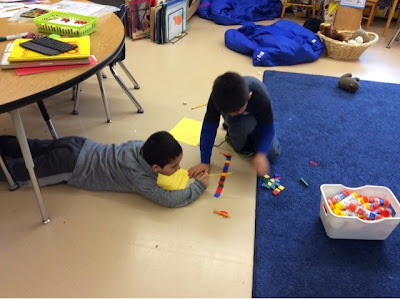 This past week my class has been playing with measurement and since I have a third of my class for a second year I wanted to make sure they were exploring measurement in a different way then before. Here are a few of the activities they were taking part in this week. 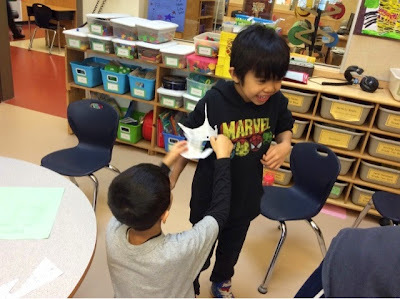 These students are taking pictures of different parts of their body. They are uploading them to the Book Creator app where they are creating a book with sentences such as my eye is bigger than a baby's eye or My nose is smaller than an elephant's nose. Everything is being compared to either an elephant, or a baby. Here are some blog posts showing their final products. 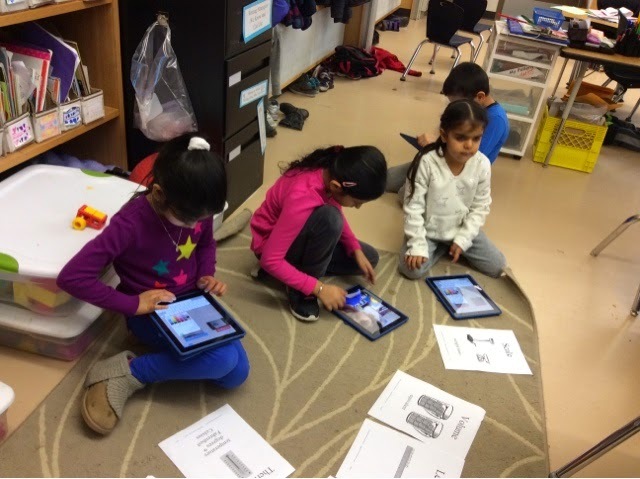 Another group used the pic collage app web image search to find for various tools used for measurement. 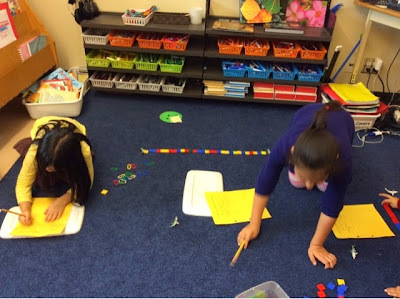 They did have some measurement word wall words to help them with their search. This group traced and cut out two of their hands . They then measured objects around the room with their two hands and recorded what they discovered. For the second part of this activity the children found objects bigger, smaller, and the same size as their hands. They created a movie in iMovie to document this information. Here are some of their final movies. 4. How Big is My Footstep? The last group was to figure out how big their foot step was by measuring their step with a variety of objects. 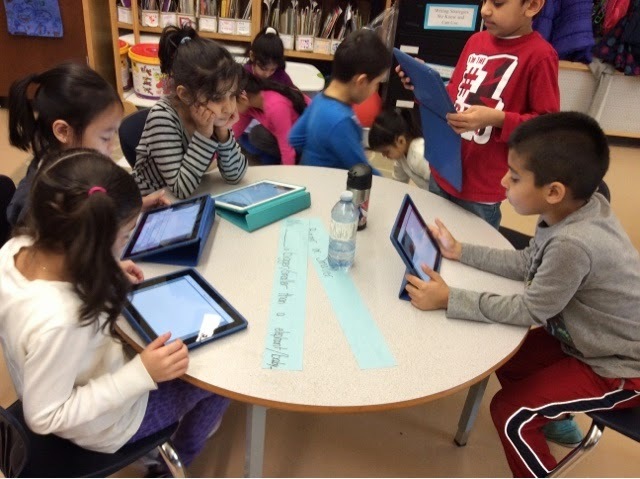 Some students also created an iMovie with the different things they measured their footstep with. Here is a sample final video. How are you introducing measurement into your classroom?